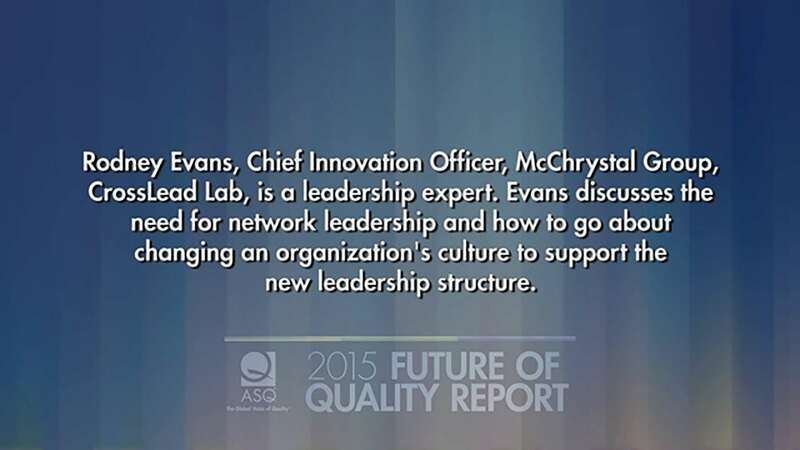 Since 1996, ASQ has published seven issues of the Future of Quality Report. The latest edition explores 11 topic areas—already impacting consumers, businesses, and society—that will have a profound effect on the future of quality. These thought-provoking, personal, and detailed essays are written by distinguished experts from around the world. Read the full report or start with the essays that interest you the most. 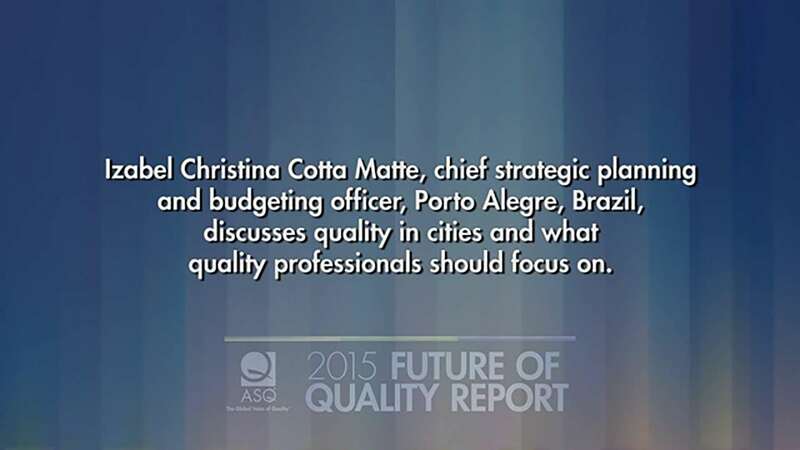 The "2015 ASQ Future of Quality Report: Quality Throughout" will challenge, enlighten, and spark action. 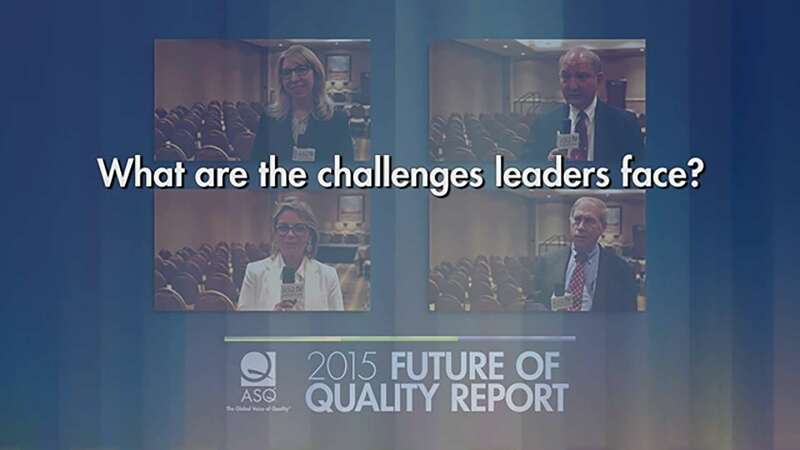 ASQ had the opportunity to speak to four of our authors at the 2015 ASQ World Conference on Quality and Improvement. 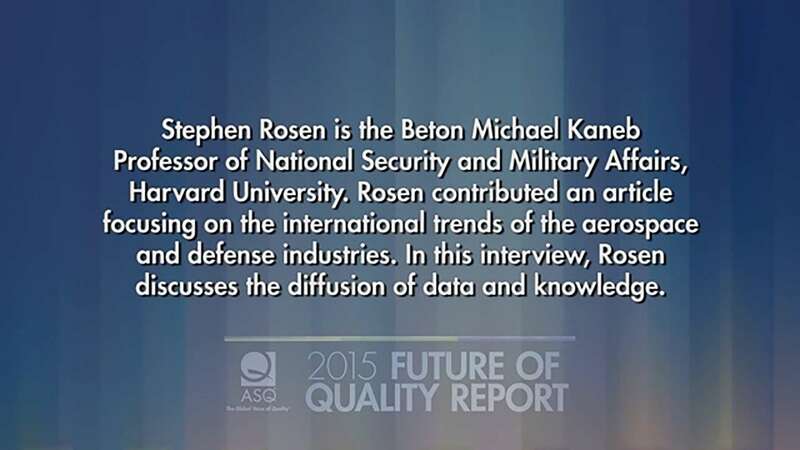 After a panel discussion about the Future of Quality during the Executive Roundtable event, Rodney Evans (Chief Innovation Officer, McChrystal Group, CrossLead Lab), Stephen Rosen (Beton Michael Kaneb Professor of National Security and Military Affairs, Harvard University), Jim Davis (Vice Provost, Information Technology, and Chief Academic Technology Officer, University of California—Los Angeles), and Izabel Christina Cotta Matte (Chief Strategic Planning and Budgeting Officer, City of Porto Alegre), spoke about the main topic of their articles. What Are the Challenges for Leaders?